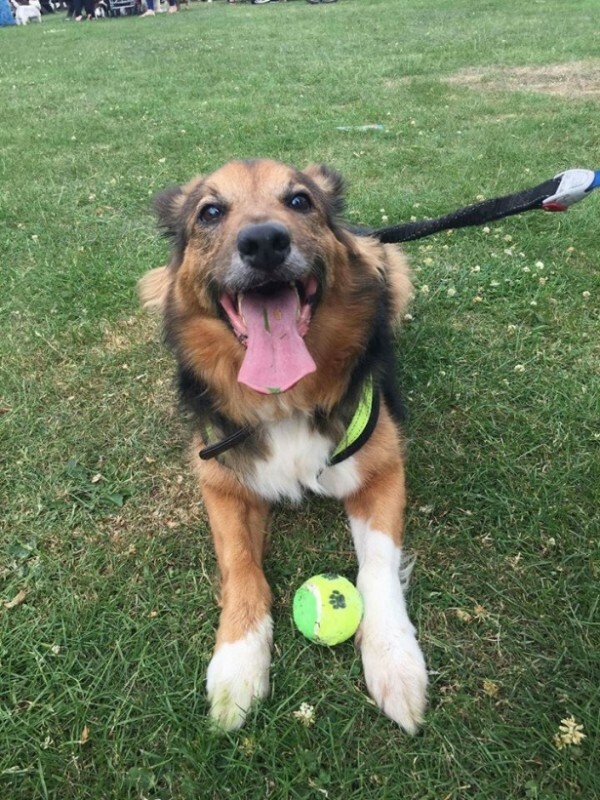 Lovely Socks the Collie is a real gentleman – he is 10 yrs young and is searching for his dream retirement home. Socks has had a tough past few years, his owner passed away a couple of years ago, he was then taken on by a loving new owner, but sadly due to a change in working hours, Socks has now had to come into our care. Despite all this, he is such a sweet happy go lucky chap who seems to take things in his stride. He gets really excited when it’s walk time, and still loves to get out and about chasing his beloved ball! Socks does pull a bit on lead (he walks fine on an extendable lead), and is used to being off lead. He is fine around other dogs, and has been around cats with no issues. Socks is fully housetrained, travels well in the car and is fine to be left for a few hours. He would really love to find a quieter home with no young children for his older years where he will get plenty of company, plenty of walks and lots of TLC! A Collie experienced home would be ideal.